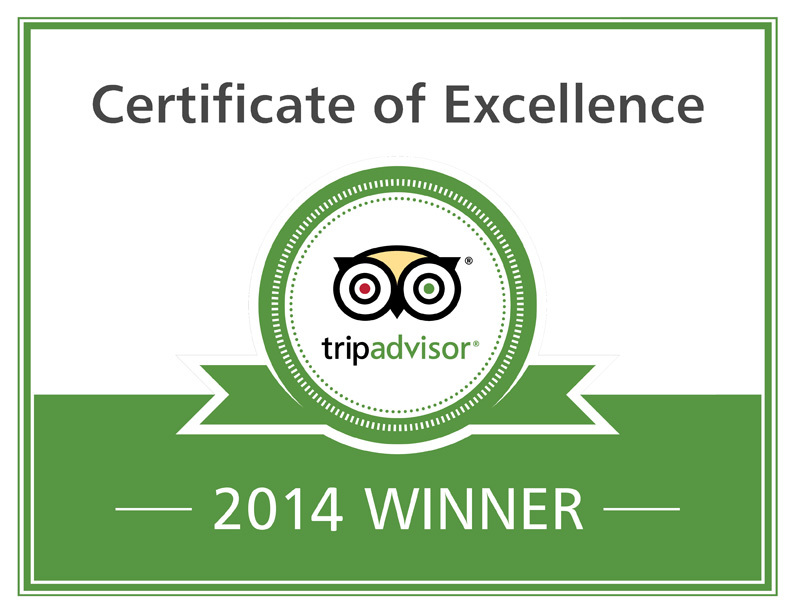 We are happy and proud to announce that we are the recipient of Tripadvisor’s Certificate of Excellence award for 2014! The award celebrates hospitality excellence and is given only to establishments that consistently achieve outstanding traveler reviews on TripAdvisor. Winners of the Certificate of Excellence are located all over the world and represent the upper echelon of businesses listed on the website, with only the top 10 percent receiving the prestigious award. Thank you to all our guests who have taken the time to write such wonderful reviews. It really means a lot to us and we couldn’t have done it without you! Wow, good for you guys, place looks amazing! My wife and I can’t wait to get there! We cant wait for you both too arrive as well!! The dates are approaching. We are looking forward to meeting you both very soon as well!